Philip Rivers has played on some great teams during his long career with the Los Angeles Chargers. He has guided the team to the playoffs five times since taking over as the starting quarterback in 2006. Of those five, he has only made it past the divisional round just once (2007). That season, he and the Chargers were denied a trip to the Super Bowl by the same team they will face this weekend—the dreaded New England Patriots. But with the struggles that the Patriots have had this season could the stage be set for Rivers to get a second shot at the Super Bowl? 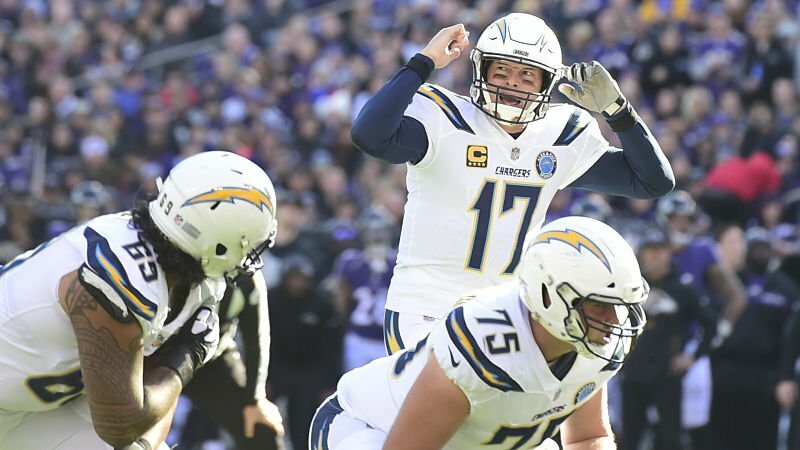 According to Betway.com, the odds on the Chargers to win the AFC Championship are not bad—4 to 1 or +400. The Patriots have slightly better odds at +300 followed by the Chiefs at +137. Of course, to win the AFC title game, they have to first beat the Patriots Sunday afternoon. Those odds are not really too bad either (+170; Patriots odds to win come in at -200). So, his odds are not bad, but does he really have a shot to win? The Chargers are undefeated on the road this season. But the Patriots are undefeated at home, but more importantly, Tom Brady has owned Rivers throughout his career. Rivers has faced the Patriots eight times. The only time he beat was back in 2008, the year Brady was out with a torn ACL. 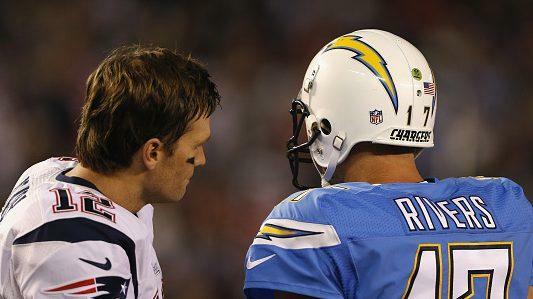 So, yeah—that means Tom brady has never been defeated by Philip Rivers (7-0). But is it possible this could be the year? Does this team have what it takes to beat the Patriots and earn a spot in the AFC Championship Game? The defense will have its hands full with Brady and the Patriots offense. While it has not looked great at times this season, statistically, they are one of the better offenses in the NFL (fourth in points, eighth in passing, and fifth in rushing). Much like in past years, they are not great at anything but good at everything. Defensively, the Patriots have been up ad down this year. But overall, they are okay against the run (11th), have trouble against the pass (22nd), but they only allow 20.3 points/game. The Chargers have a lot of talented young players on defense that will certainly make things difficult for Brady. But the key to the game for the Chargers will be Philip Rivers and the offense. Rivers is playing well this season and will be able to throw on the Patriots defense. But they could have issues in the running game. Melvin Gordon is expected to play. But he recently returned from one knee injury only to have the other knee get hurt last week. The Chargers will do everything possible to have him ready but they will not know how much hitting he can take until game time. So—can the Chargers get it done this time? Can they finally take down the mighty Brady? This will be the best opportunity they have had in years. But they will need to start strong and can’t let off the gas until Monday. They can’t let Brady think he has chance to pull out a win. Too often when he thinks he can win, he makes it happen. It would not be a crazy idea to take the Chargers to win. But it might even be a smart bet to take them and the points (+4) since the game will likely be a close one.